Elements would be changed, added, or forgotten. Gameplay was fun and very straightforward. Most people could get to level 7 or 8, but very few could make it to 10. 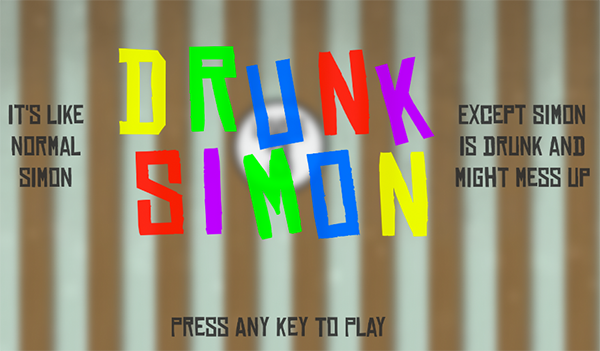 Drunk Simon is simply a modified version of the classic Simon game. The game plays a series of keys, and the player has to repeat the sequence. As the game goes on, the sequence get longer. However, in Drunk Simon, that's not always the only change that occurs. 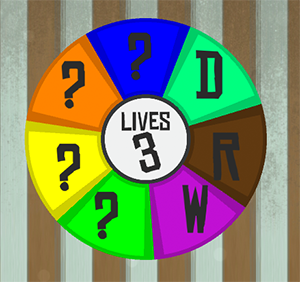 Sometimes Simon "forgets" a key, and it is replaced with a question mark, forcing the player to remember what the key was. Or the sequence may change subtly, with an element switching to a different tone. Sometimes the keys change, forcing you to reposition our hands. The worst thing that Simon can do, though, is spin the dial, which throws off any positional memory you might have had. Drunk Simon was made for the Philly Dev Night "The Player is the Enemy Jam". 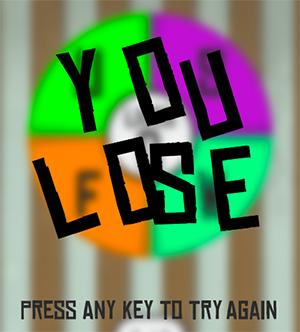 The point of the jam was to make something that was unnecessarily brutal to the player, but still winnable. I only had a week to work on it, in between contract projects, hence the relative simplicity. It is still one of my favorite Jam games, though.